She uses her own experiences with confidence issues as a strength with her teaching as she can fully understand what it is like to have lost confidence and to be nervous and how to build it back up again. She enjoys working with all types of horses and riders from beginners to competition riders building on confidence and making sure they come out of each session having learnt something but most importantly having enjoyed time with their horse and coming out smiling! Jade Hyatt is a BHS AI and competed up to BE intermediate and CCI* eventing when she was 20. Since then she has suffered from different injuries and illnesses this co in sided with the loss of her horse left her with a lack of confidence with her riding. Over the past ten years she has built this back up winning several BE events and having a horse ready to step back up to these levels in 2019! 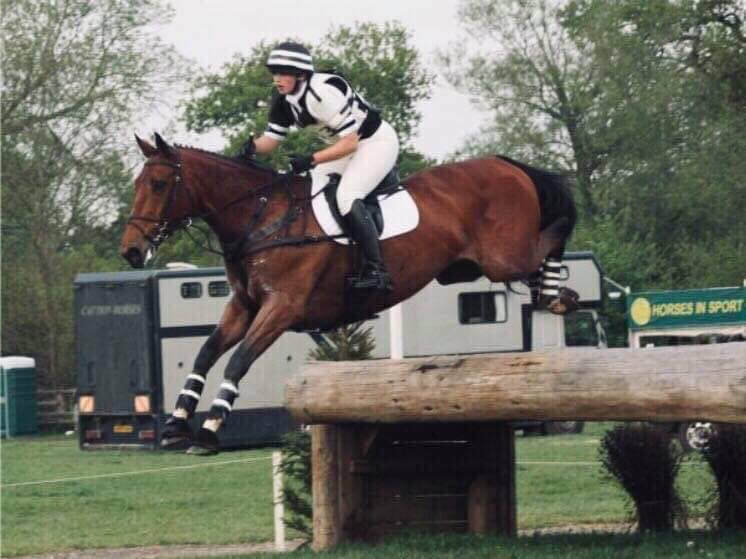 This year she has also been lucky enough to be one of only 24 coaches in the UK to be selected onto Charlie Unwin’s six month Psychology for Equestrian Coaches course starting in 2019! Jade is also a fully qualified Personal Trainer, Sports Massage Therapist and an Exercise Referral Specialist working towards her Biomechanics qualifications in 2019.